PRODUCT: 1" INCH x 60 YARD ROLL (.944", 24mm x 55M), 3M SCOTCH BRAND, NATURAL COLOR, GENERAL PURPOSE / #203 MASKING TAPE. PRICE/ ROLL. 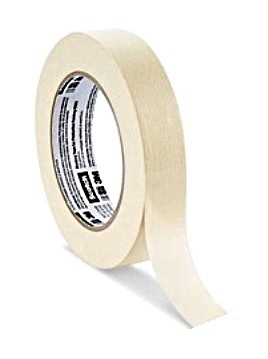 DESCRIPTION: 3M Scotch® General Purpose Masking Tape, 24 mm x 55 m 5.9 mil, 36 per case. Made in USA by 3M.